Biodiversity Limits on Small Islands. Managing Vulnerabilities of Small Island Heritage. INSULA - International Journal of Island Affairs, 1992-2012. Pan Caribbean Disaster Preparedness and Prevention Project (PCDPPP). Regional Co-ordination of Island Vulnerability Reduction. Small States Conference on Sea Level Rise 14-18 November 1989 Male, the Maldives. Small Island Developing States (SIDS) and Climate Change. UNESCO/UNFPA Population and Environment Project in the Eastern Islands of Fiji, Man and the Biosphere Programme, 1974-1976. 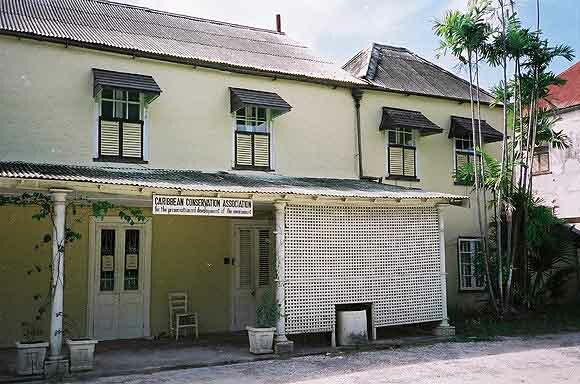 Vulnerability Reduction for Island Museums. Some of these projects are merely ideas which need to be properly investigated and expanded. Suggestions would be welcome regarding revision of the proposals to meet specific needs, especially linking research and application. Suggestions for references on these topics or indications of omissions or errors are encouraged. Please Contact Island Vulnerability. The physical size and resource limitations of a small island might set a specific limit on the numbers of mammals or birds which could be sustained by that island (not numbers of species, but numbers of individuals). Notwithstanding that ecodiversity indicators could also be useful, has any work been done related to the smallest scale at which biodiversity is a useful measure of a healthy ecosystem? This question applies to ecodiversity too. Suppose that the maximum number of creatures which a location could support is L. For simplicity, taking a crude measure of biodiversity as being the number of species (S), then the number of individuals per species averages at L/S. L/S presumably has a definite lower bound before a genetic bottleneck is created. On non-islands, L is huge (for example, for human beings on Earth, it might be about 109 so for less wasteful creatures on a continent, L >> 109 is realistic). Thus, even for S approximately SQRT(L), L/S is a large number and genetic bottlenecks are unlikely. On small islands, though, if L = 10,000, then S = 100 (viable) might cause problems. Thus, how small must an island be before biodiversity becomes a hindrance to ecosystem survival? A parallel thought is that simplicity has its own beauty. Would a small island ecosystem be more effective with, say, S = 10 where each species balances well with the others as opposed to S = 100 with intense competition for resources? On the other hand, the S = 10 model is highly vulnerable. An extreme event could eradicate life on the island. In contrast, S = 100 could lose half its species but still regenerate an ecosystem. Yet even if S = 10 were wiped out, colonisation would eventually bring life back to the island, possibly as a different yet balanced S = 10 system. Overall, the query becomes: Is there a scale at which increased biodiversity (or ecodiversity) is not necessarily beneficial to the long-term survival of the ecosystem? 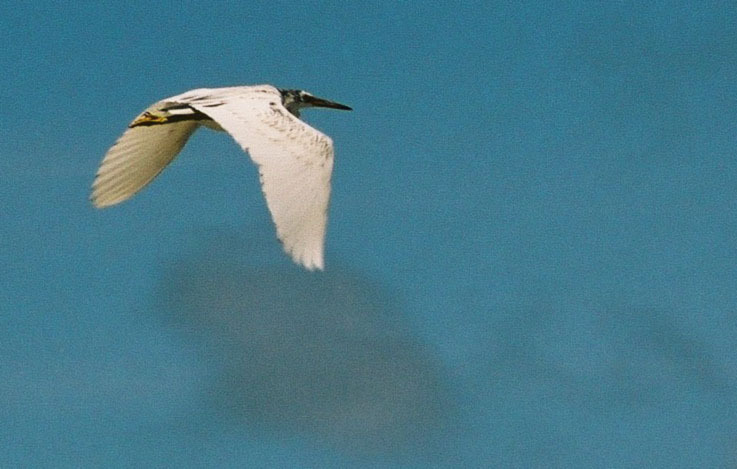 Bird on Pangaimotu, Tonga. How many individuals could this small island support? Proposal written by Ilan Kelman but with ideas and help from many others. Lewis, J. 1978 (February). "Disaster Ecology: An International Journal for the Study of the Avoidance and Mitigation of Natural Disaster". Editorial prepared for Crane Russak and Company Inc., New York, U.S.A., full text (242 kb in PDF). Lewis, J. 1980. "The Ecological Integration of Disaster Relief". Reprint in English from the article published as "De integratie van een beleid voor rampenbestrijding in de ecologische problematiek", Aspecten van internationale samenwerking, No. 6, Ministry of Foreign Affairs, The Hague, full text (245 kb in PDF). Lewis, J. 1980 (March). The Ecology of Natural Disaster: Implications for development planners, Document prepared at the Project for the Analysis of Natural Disaster Vulnerability, Centre for Development studies, University of Bath, U.K. full text (1,147 kb in PDF). Disaster ecology investigates the role of disaster in the relationship between society and its environment. Disaster ecology applies not only to society's reactions following a disaster, but also to the influence of the threat of disaster on society's attitudes and decisions, which may lead to prevention, mitigation and adaptation activities. 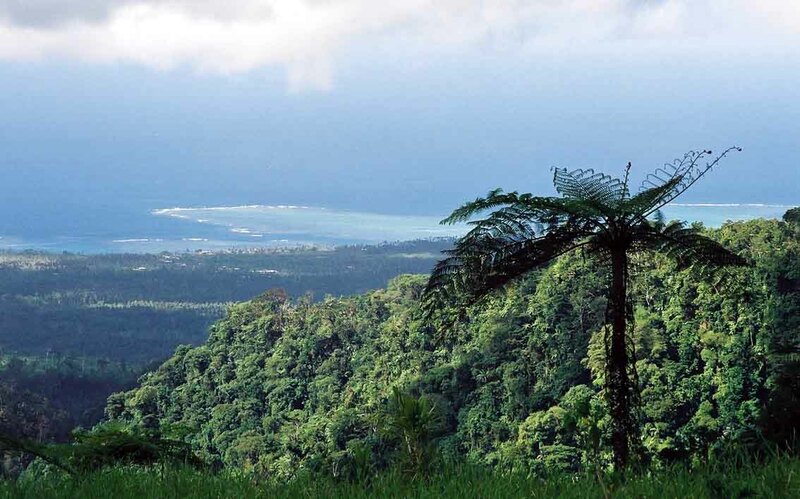 The research proposed here would go beyond previous disaster ecology work by examining the interactions amongst social vulnerability, environmental vulnerability and development processes for island communities. These island systems provide the compactness and isolation needed to determine the inter-relationships of decisions and activities, along with links between causes and effects, in complicated processes such as vulnerability management and development. Disaster ecology analyses such interactions. Two contributions to knowledge would result. The first would contribute to the conceptual understanding of island vulnerability. New theory would be developed through disaster ecology and through new methodologies for determining vulnerability patterns. Root causes of observed vulnerability and mechanisms for reducing and preventing vulnerability would be established. The second contribution would occur at a case study level by applying the new knowledge to specific island communities for producing comprehensive vulnerability profiles and for recommending vulnerability reduction strategies. The outcome of combining these two contributions would provide a strong basis for future work in applying disaster ecology to non-Pacific island communities and to non-island geographies. Lewis, J. and I. Kelman. 2010. "Places, people and perpetuity: Community capacities in ecologies of catastrophe". ACME: An International E-Journal for Critical Geographies, vol. 9, no. 2, pp. 191-220, full text. Proposal by Ilan Kelman and James Lewis. The project would examine the possibility of developing a mathematical or statistical measure of the dispersiveness and scatteredness of island states and island regions. For example, with respect to land area, the 122 km2 of St. Helena and the 400 km2 of Barbados are substantial "smallnesses" when compared to that of Tuvalu's 26 km2. 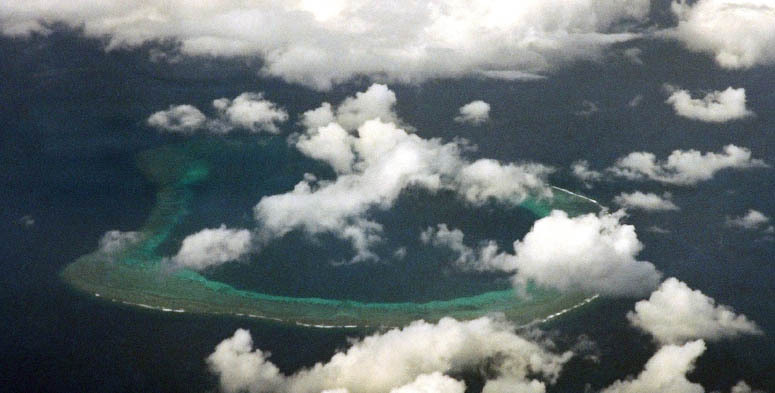 Much more significant is that Tuvalu's minimal land area is scattered amongst nine atolls over oceanic distances of 650 km. Although all are "small" (islands or states), the experience of their land formations, whether by visitors or indigenous inhabitants, is vastly different. Thus, an additional categorization of "islands" would be useful, indicating a scale of "dispersiveness", "scatteredness", or "entireness". It would begin to convey the fragility and the remoteness that is a part of a special experience of islands. "Remoteness from what?" --such as a continental land mass, capital city, or other islandsâ€”-would need to be considered. Smallness is a more complex matter than simply size, particularly in an ecological context. How could this experience of smallness be quantified? An example would be to consider a simple function which measures the distance from a state's capital to every single square centimetre of that state. Summing these distances, possibly with an RMS (root mean square) function or other weighting function, and then normalising the result according to the state's land area or ocean area (or some function of area and number of, or population on, the islands) could yield a "dispersiveness index" or "scatteredness index". The actual calculation would not use square centimetres, but would use infinitesimal areas. Rather than summing the distance functions, integration would occur over two dimensions. This index might then be indicative of different policies or strategies which should be adopted for sustainability, such as environmental management and disaster prevention and response. Other factors such as political stability or economic governance approach might need to be considered at this stage alongside the index. Emulating geographical spheres of influence, a decay function as a weighting factor could be introduced indicating how far the influence of decisions or policies extends from the location where the decision is made (e.g. the state or provincial capital). The decay function would not necessarily decrease monotonically with distance, because transport networks can bring far away locales much closer together for political purposes. The dispersiveness index enters here to indicate relative distance. The influence of governance, such as economic and investment changes, on each location (part of vulnerability). The spatial distribution of the potential hazards. The spatial distribution of specific disasters. If these three networks were examined through time and superposed mathematically or visually, changes in disaster events could be contrasted with changes in specific vulnerabilities while noting where hazards arise. Taking into account variations of the physical presence of potential hazards, correlations between changes in vulnerability and changes in disasters could be determined. Some locations would be under the influence of more than one decay function (sphere of influence) which would lead to overlaps and intersections amongst the networks. Defining the parameters to quantify. A systematic method is provided (although many details in the above would need to be clarified). The influence on the results of uncertainties in parameters and data is easily calculated and described. The approach is relatively comprehensive and could easily be expanded to account for new factors. Patterns at different spatial and temporal scales, which are often difficult to understand and compare, should be obvious with this method. Decision-makers have a tendency of responding to clearly presented numerical results and visual outputs rather than to qualitative, accurate prose. A formal literature search has not been completed, so this index might already exist. If not, it would provide a useful tool for island-related policy- and decision-making along with communication of those decisions and policies. A Fijian Atoll, Far From the Capital. Under several sea-level rise scenarios, many island communities might be inundated or severely disrupted, although a catastrophic outcome is not inevitable. In circumstances where an island or island community might no longer be inhabitable, evacuation of the entire population and permanent abandonment would be an option. Precedents exist for such discussion from volcanic disasters on islands; for example, Niua Foâ€™ou (Tonga) in 1946, Tristan da Cunha in the 1960s, Vestmannaeyjar (Iceland) in 1973, and Montserrat in the 1990s (see also the document by Henry Gaudru, March 2005, Potential Impacts Of Eruptions On Volcanic Islands, 123 kb in PDF). These situations were unsuccessful from a long-term evacuation perspective--which might have been a positive long-term result. For sea-level rise and other potential impacts from global environmental change, the only long-term option available might end up being successful evacuation. Indicating the likelihood of enacting evacuation and seeking alternatives. Examining the psychological and logistical preparedness for evacuation and abandonment. Recommending preparation techniques and methods of anticipating and avoiding the problems encountered in previous case studies. Ensuring that mechanisms existed for communicating with, especially listening to, the people being affected. Investigating ways of attempting to build new communities with reduced vulnerabilities. Some publications on this topic are listed under "Migration" at http://www.islandvulnerability.org/docs/islandsclimatechange.pdf. 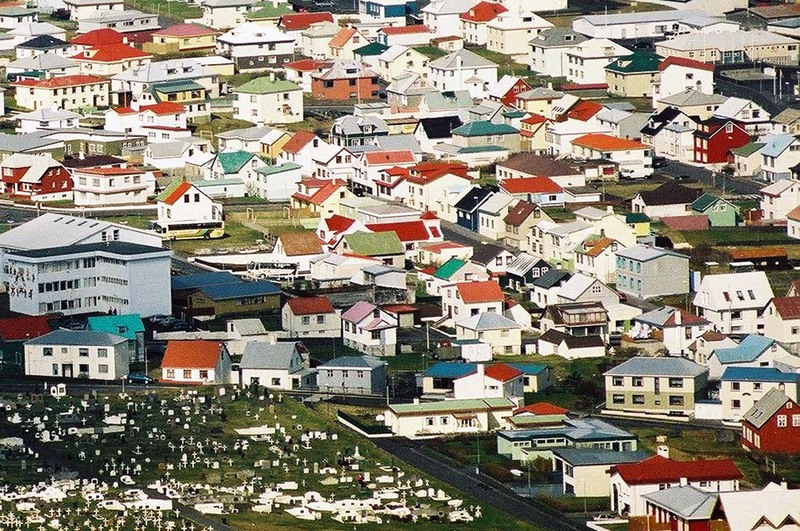 Evacuated during a volcanic eruption in 1973 but still a thriving community today. 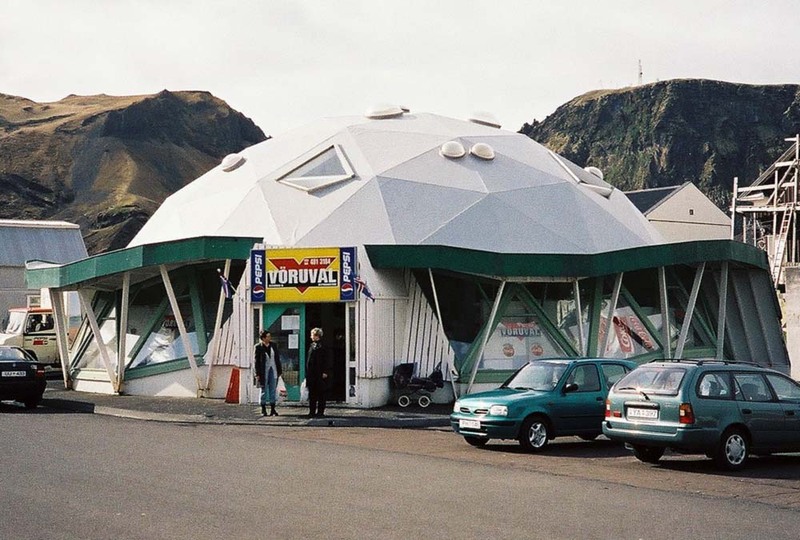 Where else could you find a grocery shop in a geodesic dome? Project by Ilan Kelman in collaboration with the U.K. National Trust. , Rathlin Island (Nothern Ireland), and Brownsea Island (southern England). This project was completed in 2003 for an Arkell European Fellowship kindly funded by the U.K.'s National Trust. The summary and full report are available here courtesy of the National Trust. Please contact Island Vulnerability with questions, comments, or feedback. Summary in Word Format (202 kb in Word). Summary in PDF (153 kb in PDF). Report in Word Format (1,935 kb in Word). Report in PDF (1,735 kb in PDF). 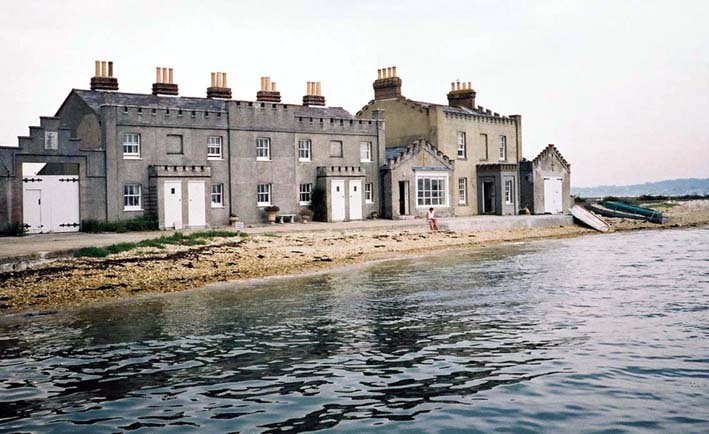 Brownsea Island's Heritage Cottages which are the Islanders' Homes. 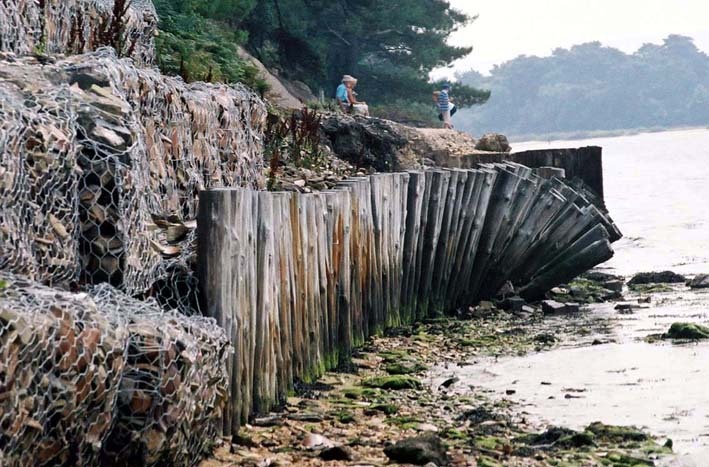 Attempts at Sea Defences on Brownsea Island. The Caribbean Region has intensely complex political geography. The complexity arises from the four main languages, the differences in territorial status amongst the European overseas territories, and the loose correlation between geographical position and political/linguistic affiliation. For example, the French-speaking and Dutch-speaking territories are scattered throughout the Caribbean. Meanwhile, only one Central American country is not part of the Caribbean--El Salvador, but it is a member of the Association of Caribbean States (ACS)--while the English-speaking mainland countries of Belize and Guyana are often considered to be in the Caribbean Anglophone island community, since they are English "islands" in their respective regions. Furthermore, Puerto Rico and USVI have different statuses within the U.S.A. and different linguistic characteristics while Cuba has been isolated regionally and internationally in many ways by the U.S.A. Cuba was excluded from the Quebec Summit Plan of Action of the Organization of American States (OAS) which had a section on disaster management activities and Cuba is not participating in the Inter-American Committee for Natural Disaster Reduction (IACNDR). Extract lessons from the Caribbean to determine how to overcome the difficulties to ensure coordinated vulnerability management across all sectors and the entire region. Examine any mechanisms implemented for overcoming linguistic, political, cultural, and geographical barriers, aiming to use diversity as opportunity. Determine whether the lessons would be transferable. A comparison could be completed with the Pacific, such as with the Pacific Community's (SPC) GeoScience Division (formerly SOPAC) and the Secretariat of the Pacific Regional Environment Programme (SPREP) facing islands which are small and remote even by island standards. Examining how regional agencies overcome their challenges would be useful to compare techniques and results with the Caribbean. 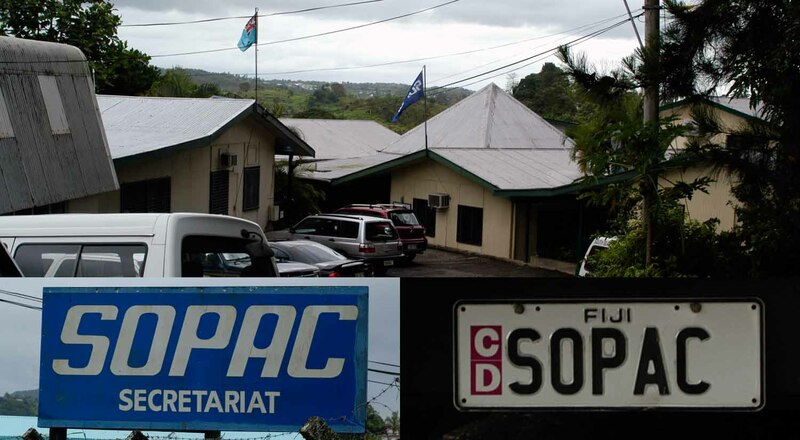 Headquarters of the Pacific Community's (SPC) GeoScience Division when it was SOPAC. Proposal by Ilan Kelman and Caroline Lanthier. Museums not only preserve cultural and natural heritage, but are important institutions for education and research. Locally-run museums sited in the location to which each museum applies are particularly beneficial. Each locationâ€™s heritage and culture may be interpreted and presented by the local people for the local people while encouraging outsiders to visit a location to study heritage. The loss of artefacts, displays, and institutions during a disaster can be a significant to blow to a locationâ€™s heritage and ability to educate on the topic. Heritage vulnerability also includes gradual decay over time, such as from the effects of humidity or exposure to sea spray, and loss of interest, such as from emigration of skilled personal and shifting priorities amongst youth. Examine the state of vulnerability management in specific island museums. Compare and contrast the approaches to see if lessons would be transferable. Undertake to communicate lessons where appropriate and examine the possibility for recommending improvements in awareness of the issues and logistics. 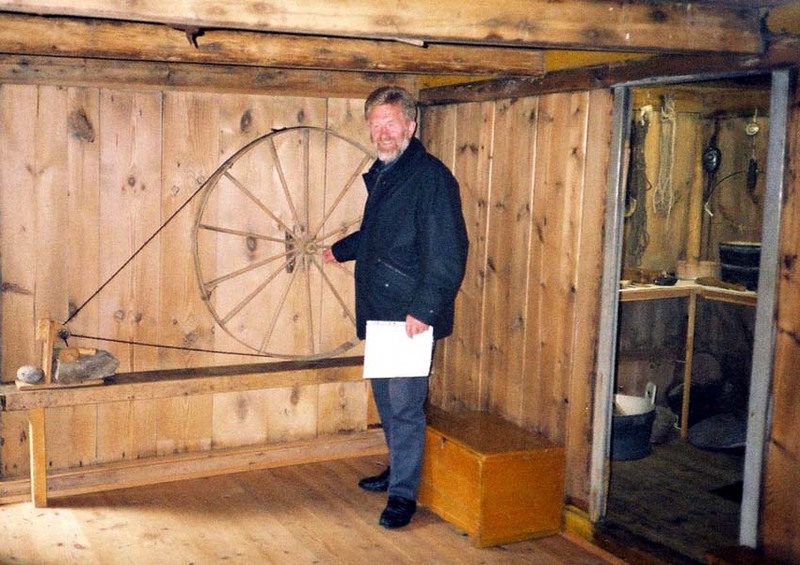 The Manager of a Local Faroese Museum Points to One of his Displays.